Espoo is the second largest city and municipality in Finland. Take a break from the city and head to Teijo national park and Ahvenisto Activity Park. Deepen your sense of the past at sights like Birthplace of Jean Sibelius and Lohjan Pyhan Laurin Kirkko the Church of St Lawrence Lohja. 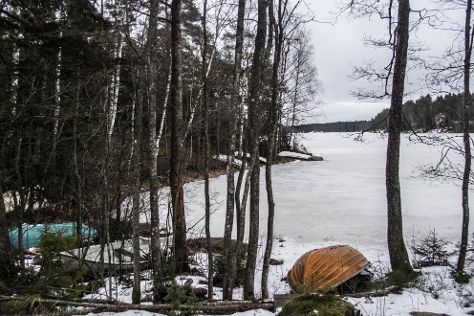 Explore the numerous day-trip ideas around Espoo: Bellevue Beach (in Hanko), Visavuori (in Valkeakoski) and Torronsuo National Park (in Tammela). Spend the 10th (Fri) exploring nature at Ekenas Archipelago National Park. It doesn't end there: see the interesting displays at Talomuseo Glims. For where to stay, other places to visit, more things to do, and more tourist information, you can read our Espoo route planning site . If you are flying in from United Kingdom, the closest major airport is Helsinki Vantaa Airport. Expect a daytime high around 19°C in May, and nighttime lows around 6°C. Wrap up your sightseeing on the 10th (Fri) early enough to travel back home.